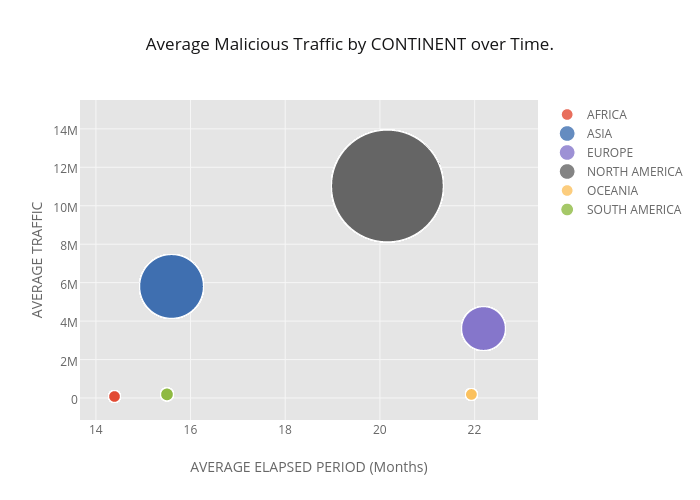 Richardafolabi's interactive graph and data of "Average Malicious Traffic by CONTINENT over Time." is a scatter chart, showing AFRICA, ASIA, EUROPE, NORTH AMERICA, OCEANIA, SOUTH AMERICA. The x-axis shows values from 0 to 0. The y-axis shows values from 0 to 0.